Apple has released a new iPhone ad emphasizing the devices hands-free Hey Siri feature. In the commercial, celebrity Neil Patrick Harris (Doogie Howser, remember that show?) asks Siri to read an acceptance Thank You speech for some unknown award, and then lip-syncs the response from Siri. Siri is a great perk to using an iPhone, and the hands-free ability is extra useful. If you’re having a less-than-successful experience with the feature, try voice training Hey Siri for better results. Apple has been fairly aggressive with commercials lately, releasing a wide variety of ads for their various products. The most unbelievable part of Doogie Howser MD was that his name was Doogie. Who is named Doogie? Come on. And what a show of the 80’s and 90’s, the world was in such calm and peace that you could have a TV show about child prodigies. We all know the trash that permeates the airwaves now, which has vacuumed in politics and every other sordid waste possible. What a world we have arrived at. Hey, at least we have an iPhone with Siri, right? The most unbelievable part of this story is “(Doogie Howser, remember that show?)”. Neil Patrick Harris isn’t known for Doogie Howser, he’s moved on to be a successful entertainer. In fact, younger generations reading this are likely to NOT remember that show. My point is, that tidbit was unnecessary. I woke up with no hot water and haven’t had coffee yet, I apologize for my negativity. 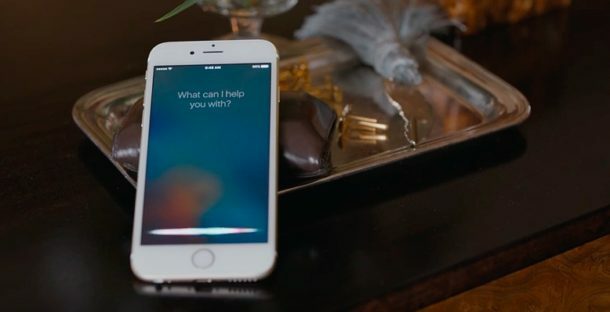 Every iOS user just wishes Siri worked like An Apple commercial. Siri is a huge lump of coal for iOS. Don’t know what your issue is. I use Siri for my lights, locks, car and more. No problem.